A Light in My Path | W. Wayne B. Posted on June 1, 2013	by W. Wayne B.
I have found a light on my path. Words are no longer standing by me. They have fallen under the shadow of time. As the world spins, I rest again. My responsibilities are no longer a burden. I have help when I need support. Yesterday I planted a rose garden. I watered the plants as they took root. My favorite roses are pink and peach. I never look for their thorns. 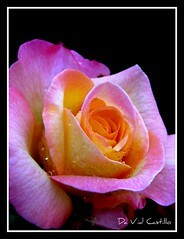 This entry was posted in Poetry and tagged help, light, rose, support, thorn, world, z1800. Bookmark the permalink.